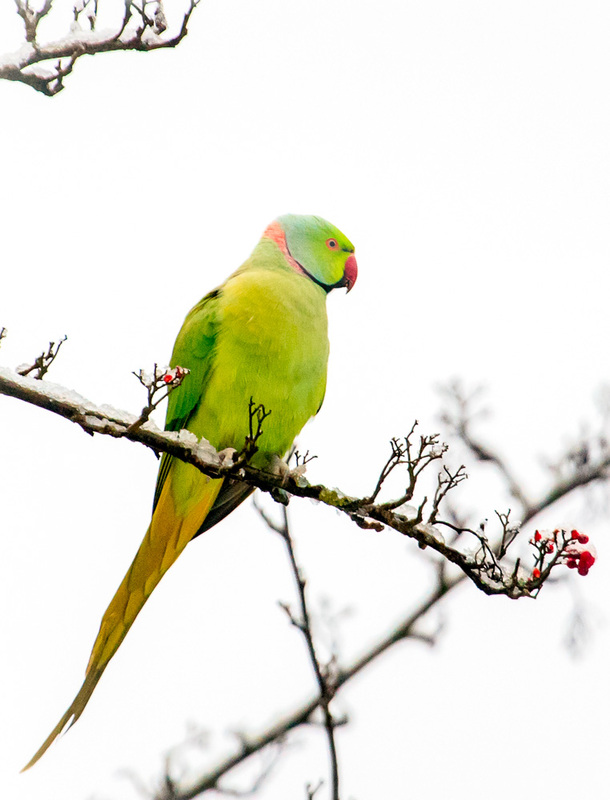 The snowy situation has brought the Parakeets back into the garden……. This entry was posted on Tuesday, February 3rd, 2015 at 17:02	and is filed under Living Nature, Winterval. You can follow any responses to this entry through the RSS 2.0 feed. You can leave a response, or trackback from your own site. You are still living in Surrey, oui? Mais oui madame…… for a bit longer but we’ll be off sometime this year. Ah – le suspense me kill. Le reve maintenant? Au land des parakeets? C’est un signe? …heh, heh…no I think we’ll steer clear of the land of the parakeets…they eat loads of bird seed! Not sure we’re off to yet….I’m sure the interweb will be kept informed. No comment, back home please!